Of course it’s only the 18th and anyone that has lived here very long knows the wet season can kick in quickly in the last week or so of October. As a result it would be premature to say it’s going to be a real dry October. That said, I don’t see much rain between now and next Sunday. That means less than 1″ in the bucket with just the last week of the month to go. It could end up being like 2011 or 2013. This shouldn’t be a real surprise in a strong El Nino fall. 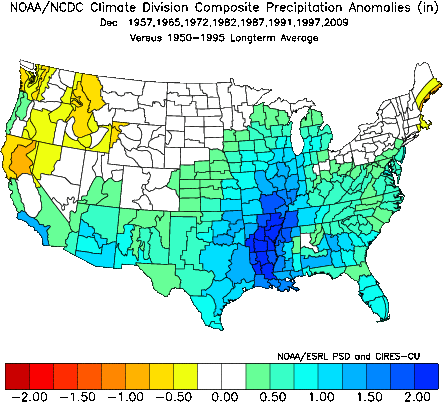 I used the great NCDC anomaly plot tool to make a map showing precipitation anomaly during strong El Nino Octobers. That would include 1957, 1965, 1972, 1982, 1987, 1991, 1997 and 2009. Look at the drier than normal Pacific Northwest west of the Cascades. Novembers are similar with an even more pronounced dry anomaly. Many of those years we saw ridging and/or split flow…like what we have been seeing in the maps for the next 10 days. I remember 1997 was right after I got married…lots of east wind and sunshine with mild temps. There you go…pretty strong signal for drier than normal weather through Thanksgiving. That doesn’t mean DRY in late fall, but drier than normal. We’ll see how it turns out. Good for you folks, a soaking is much-needed for our trees and shrubs. I don’t see that anytime in the next 6 days though. We have a weak and splitting system both Monday and late Wednesday. Other than that most likely dry through Saturday. This entry was posted on Sunday, October 18th, 2015 at 10:30 pm and is filed under Weather. You can follow any responses to this entry through the RSS 2.0 feed. Both comments and pings are currently closed. We haven’t yet had a daytime high under 60 this month. Most of the charts show this continuing the balance of the month. If this indeed occurs, it will be the first time in my eleven years here, that 50s werent a regular occurance at the end of October. Very bizarre. Cry me a river. I think this winter will surprise a lot of us. Be our turn soon mark. Split flow will be gone in a week or so. Where does it say that in the models josh? Yeah josh, El nino’s are just like La nina with heavy Mt snow, Major windstorms, massive flooding and historic artic outbreaks like 1950, lol time to come back too reality man. Where does it say that the models are always right? It was only a couple years ago that October produced zero days above 60. This is in reply to your comment below about rivers running dry. I just took the Hoover dam tour last week. According to the gal that gave the tour, they are in a little bit of trouble. They are in a 16 + year drought. Even if they get 100% snow in the Rockies (that are a main feed for the dam), they’ve only got enough water to produce power for the next 23 years! If the drought persists, then you can do the math. They are not at the record lowest, but things need to pick up soon. Great tour, only $15.00, and money well spent. I doubt November will be much better. This is pretty pathetic. Will this be the driest October in history? The last week of October typically is the wettest. We’ll see what happens. In October 1895, 0.00″ of rain was recorded in downtown Portland. I think that wins. Since there is no rain in the forecast today, that must be heavy fog that’s getting me wet this morning. Yes an X on today’s clouds/rain forecast for the report card. A lot of drizzle out of the low clouds eh? Enough drizzle to have me using a hood this morning! I really like the one where someone photoshopped Arizona’s Meteor Crater in front of those mountains, filled with crap. Let me tell you what HAARP really is. Yes, it does actually exist. HAARP is an acronym that stands for High-frequency Active Auroral Research Project. It is an antenna array, built in 1993 and completed in 2007 at a cost of around $250 million. Its purpose is to study the effects on our planet’s ionosphere by transmitting focused RF energy out into space, through the ionosphere and magnetosphere, and then observing the reaction — much in the same way solar energy interacts and causes the Auroras. Many of the frequencies that this array operates at are linear, meaning they don’t bend or bounce off the ionosphere, they instead carry out past the ionosphere and magnetosphere, and continue off into space away from the Earth in a straight line. ● It does not create storms. ● It does not intensify hurricanes. ● It does not cause or steer tornadoes. ● It does not punch holes in clouds. ● It does not turn rain red, yellow, purple, green or any other color. ● It does not destroy the ozone layer. ● It does not “modify” weather patterns, at all. ● It does not cause sunspots. ● It does not cause solar flares. ● It does not create, attract or deflect CMEs. ● It does not influence the Sun’s behavior, at all. ● It does not create a rift in the space-time continuum. ● It does not open a wormhole to another galaxy. ● It does not make time travel a possibility. ● It does not shoot out visible beams of light. ● It does not turn the upper atmosphere into a giant lens. ● It does not reflect energy back down toward the Earth. ● It does not trigger earthquakes. ● It does not cloak ships on the oceans. ● It does not cloak UFOs in Earth’s orbit. ● It does not communicate with aliens hiding behind our moon. ● It does not monitor, influence or control your brain activity. ● It does not block signals from electronic devices. ● It does not monitor your internet activity. ● It does not scan your computer’s hard drive. ● It does not read your personal emails. ● It does not listen in on your private phone conversations. ● It does not cause, nor is it connected to airplane contrails. ● It does not ignite wildfires. ● It does not cause chronic fatigue syndrome. ● It does not cause Autism. ● It did not cause Gulf War syndrome. ● It did not bring down TWA flight 800. ● It did not collapse the WTC towers in New York on 9/11. ● It did not blast a hole in the side of the Pentagon on 9/11. ● It will not bring about global flooding. ● It will not cause major power outages. ● It will not create ultrasonic voices inside your head. ● It will not create a big booming “God” voice in the sky. ● It is not causing “low frequency hums” in the Earth’s crust. ● It is not going to cause the Earth’s magnetic poles to flip. ● It is not causing the drought in the American West. ● It is not some secret or sinister military weapon. ● It is in no way related to the Large Hadron Collider in Sweden. These are many, but not all of the things that the idiot wacko nutjobs out there believe HAARP to be doing. If you yourself believe any of these things to be true, then you’re also an idiot wacko nutjob, and you need to GTFO, now. And some folks expect HAARP’s radio waves will somehow magically penetrate multiple miles (yes MILES) of rock to get to the lower parts of faults where seismographs indicate quakes occur. The mind boggles…. Just like a meteorologist can explain to a T “chemtrails”. The general public is borderline “retarded” not in a derogatory sense, but a clinical one. Nice one Erik, although the Hadron collider is under the Swiss – French border, not Sweden. Yes, Switzerland, that… I knew it started with an S, Sweden just came out my fingers first. Good to see lots of rain out on the east side of the state. I was looking out the window this morning at work and noticed that not only were almost all the leaves still on the trees but that most of them were green. Back in the 60,s and even in the 70,s almost all of the leaves would have been off the trees by now. Real spooky the way our climate seems to be changing so fast. Today Salem was 64 which seemed cool. Then I found out that 63 is normal for this date. So it was above average today even with the .16 we had. Peace. The leaves are dropping like mad in Hillsboro. Looks typical for this time of year here. Back in the 70s, I was a kid living in far colder climates than the Willamette Valley (Chicago, then northern New Mexico). The trees were never bare in mid-October. More like late October. Heavy snow in mid-October (which sometimes happened) would do a lot of damage for this very reason. I question the accuracy of your memory on this one. My leaves are ahead of last year, I assume that’s because the cooler September got things going. Last year most of the apple leaves froze on the trees around the 11th, but this year they look like they are going to drop at the appropriate time? I live along Clear Creek near McIver Park. All the large leave maples turned color quit suddenly a couple weeks ago, definitely ahead of schedule for most “normal” years by about two weeks. They have already maxed out color-wise and are starting to drop. I am thinking that the drop is ahead of schedule too. The dry hot summer has had a clear impact on deciduous trees this year and some conifers. Some of my vine maple leaves are 40% down already. My cedar trees have a large number of browned out needles that are making a mess out of my gutters. Never had a needle drop like this magnitude from the cedars. Cedars are messy anyway but nothing like this season. As far as the conspiracy theories of our government causing GW? Now that is some funny stuff. Really funny stuff! Oh my goodness. Our government couldn’t cover up a cat turd in a sandbox let alone covering up government caused GW. Pin Oaks are the last to loose their leaves. They leaf out late, loose their leaves late. I’ve seen Pin Oak trees with their leaves well into winter. I never hear anyone mention the possible weather aberrations that could be caused by the governments’ H.A.A.R.P. experiments based on Tesla’s theorys. I don’t want to sound like a completely paranoid conspiracy theorist but I really do think something was fishy about that whole situation. I’m not saying “the government is causing global warming” but is the possibility there? Yes it is. Too bad, because that’s precisely with both of you do sound like. HAARP is MAARK’s middle name! He’ll be explaining all of that in his presentation at OMSI this weekend…Hey, it will be fun to ask (corner) all the pros about sunspots, volcanoes, and other weather related phenomena this Saturday at OMSI, 10 AM! Totally worth the price of admi$$ion, FREE! I never said the government was doing all of those things all I said is there’s a possibility. And why do I think there’s a possibility? Because I’m not naive like you David. This is why my lawn is growing like hell, enough already. Oh no I couldn’t get around Mark’s rules! “Well… this mornings [sic] front was certainly a fizzle.” — Seattle NWS office. I recall October 1987 and 1991 being dry, but the driest October in my books was in 2002. (0.79 inches). Anyone down in Southern WA or Oregon have a similar story? 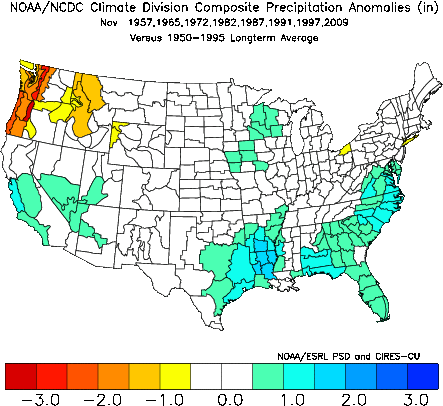 1988 was the driest October at PDX, there was a big pineapple express midmonth that hit northern WA and southern B.C. but Portland missed out. 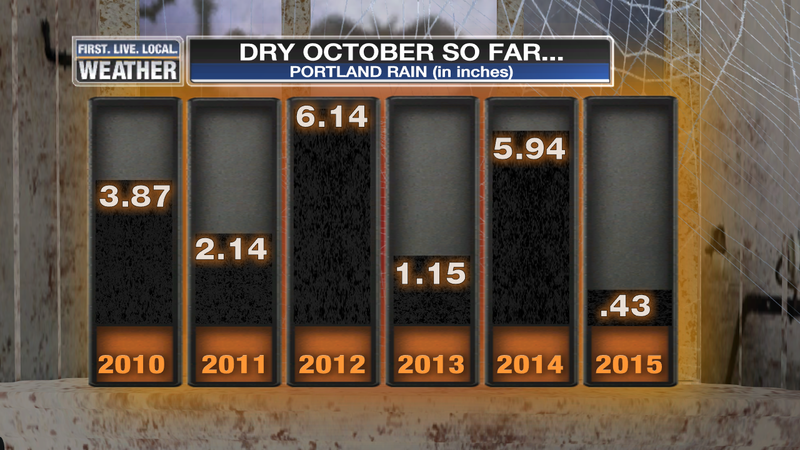 1987 was the 2nd driest October on record at PDX, that was a very ridgy month regionwide. 2002 was the last October to have less than an inch of precip at PDX. As of now, Portland is trending towards its warmest October on record (close to last year’s record shattering pace). I had just moved to the Pacific NW in October 1987, and was on the east side of the Cascades (Tri-Cities area). I was astounded how warm that October was; it didn’t seem like October at all to me. I do remember seeing some snow by the end of December (but on the east side of the mountains that’s typical). I drove through that band twice, at 8 and 11:30AM – and it was moderate rain both times. 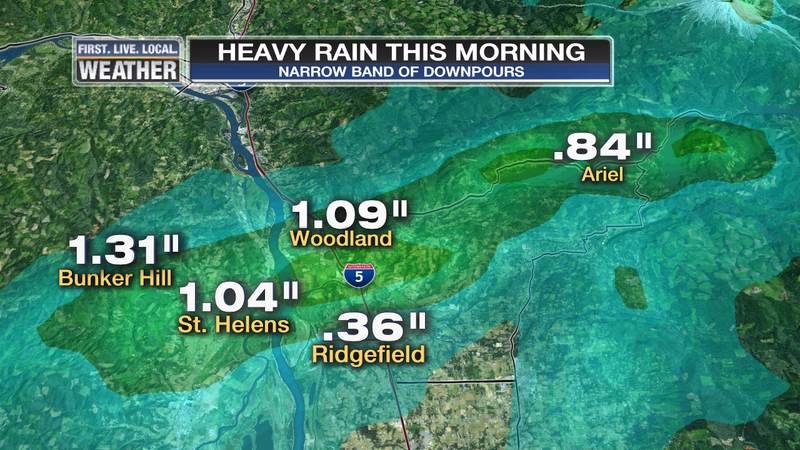 Longview barely got a few drops, and PDX showed 0.02″.. quite the deformation. not even a sprinkle after another forecast of a rainy day here so far today (again)……clouds are thinning…..sky is getting brighter……..where is Bob Lynott when you need him? Hey now…a “few light showers” covered it well I think. The coast range is so greedy. Gobbling up our moisture. Per the usual, PDX is left mostly high and dry. Rod Hill was calling for a few hours of steady rain as recently as an hour ago. I don’t know what he was looking at. We had 2 hours of decent rain for about 0.15″ Not a world beater but enough to soak the dry ground and right in the forecasted range. NCEP 3-month outlook for precip. Bullseye for drier than normal has shifted to our North and East, no longer over us. We are in average territory. Not a surprise to me. I’ve been saying the coming winter probably won’t be drier than normal for some time. I have a curiosity question. could the Cowlitz Rvier Run Dry with in 1- 2 years if we do not get some serious snow that lasts? In other words has there ever been a Historical even as to when if any the River all but stopped flowing. I am asking this because I had a dream that It did in fact all but dry up .. Currently we have sand bar islands that now have grass on them. I even seen some one mowing them at one time. Wish I had cam for that one. I can also see areas where the river does drop off rather significantly . And it seems to be getting lower. So, In your view, Could the Cowlitz River truly Run Dry with in 1 to 2 years of things don’t change? No, because most rivers have some springs that contribute to them as well and those wouldn’t dry up. Of course if it literally didn’t rain for two years, yes, a river could dry up. The Cowlitz is also glacier fed (Cowlitz glacier on Mt Rainier) so it has a few dozen years of life in any case.. Ya it would not go dry..pretty much impossible for a river. Pretty much all rivers are critically low right now besides ones are mainly spring-fed like the Metolius and Fall river. But once we get some rain the rivers will be fine. Yesterday it was a drizzly, misty, low overcast day in my area. I don’t mind that in October, but in January… sure hope we get something that I can talk about this winter. Rain is plain, yet nice and twice. 13 degrees above normal this morning. 5.5 degrees above normal for the month. Above average temps all week. This has to be yet another warmest month on record. I would like to think that everything evens out in the end, but it’s hard to imagine we could ever have the cold equivalent to this year. Nope, not gonna happen. Just gonna keep getting warmer until we melt. Comfortable temperatures all week – nice! I was in the middle of the deformation band yesterday–6 miles up the Lewis River from Woodland–2.07 inches in 8 hours. This looks similar to 91/92 we haven’t had a dry fall/winter season like that since then so I think were due, last year was very wet here in Western WA so I don’t mind raking dry leaves for once this season. Easier to blow em into the forest, too. YA, fill that pond up! And start the seasonal creek flowing! Oh well, maybe in November. Dry. partly sunny. and 72 in Salem today. 162 days over 70 this year. Previous record was 154. Wouldn’t surprise me if we had another 2 or 3 before the end of the month. Peace. Wouldn’t surprise me if this pattern last well into November. On the southern fringe of the deformation band today. 0.12″ rain.